I started planning my Thanksgiving Menu two months ago! Decisions, decisions! I wanted to make sure, since it’s just my immediate family, that we continue to reflect the healthier choices we’ve embraced since August! Less is more. The more you elaborate on recipes, the further you will be from having a healthy meal, so why not go back to basics and offer your family and guests a healthy meal everybody will be thankful for? Vegetables are great side dishes: Yes, not only vegetables are great side dishes, but they are full of flavor and easier to prepare. Plan ahead, so you are not buying things last minute and making choices you will regret! Offer healthy desserts, you will be suprised how your guests, who had a full meal, will enjoy that small fruit platter, instead of a large piece of pie with whipped cream! The main dish is the Turkey which is a healthy meat, right? I’ve made it for the past 6 years! Every year it turns out better! I hope my ideas helped you decide on a healthier menu, after all, it’s never too late to make some changes and share a healthier lifestyle with your friends and family! 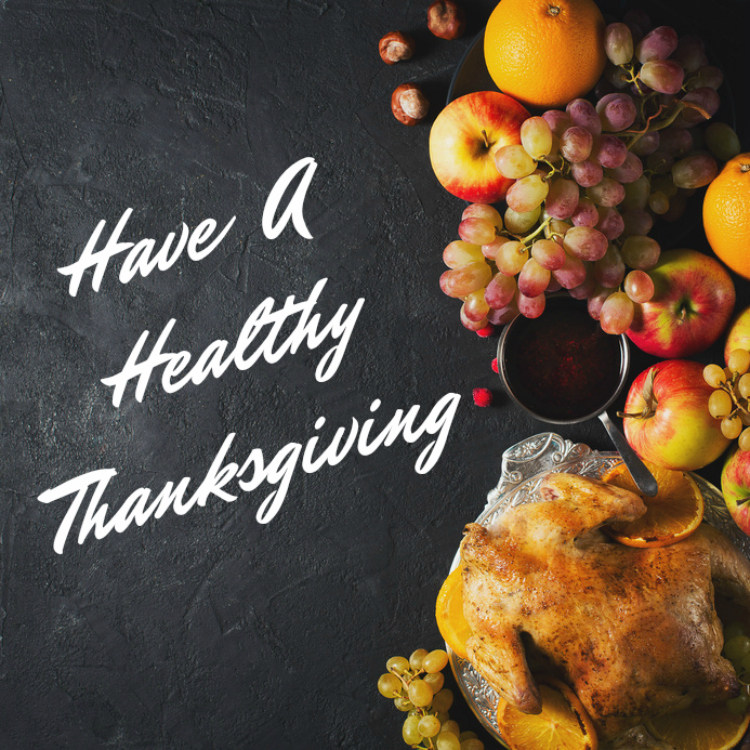 I wish you a very Happy Healthy Thanksgiving! Hope you liked our healthy choices, so many great recipes picked for our table and for yours! I know people like to overindulge during the holidays but we dont have to be unhealthy about it. Thanks for more healthy foodie ideas to have and eat during Thanksgiving. I’ve been trying to eat healthier, so these are some great suggestions. The holidays are full of so many decadent foods, so it will be good to have some easy options for being somewhat healthy. I would love to try many of these dishes. The cauliflower dish does look good. And the zucchini sticks I could really get into. I am always looking for a different vegetable dish to do for Thanksgiving. Your veggie tray will be a huge hit at my home, my kids love this kind of pick-me-up food. Belated happy Thanksgiving. This all looks so delicious! I stick to the traditonal though. I gotta have my gravies! This looks like a great “healthy” thanksgiving inspired roundup. I love me some Brussels sprouts and was glad to see them on your list! Thank you for sharing these recipe ideas. I love roasted sweet potatoes and to have them drizzled with honey and cinnamon is a winner! I’m including that in our menu plan. The zucchini sticks look so delicious! 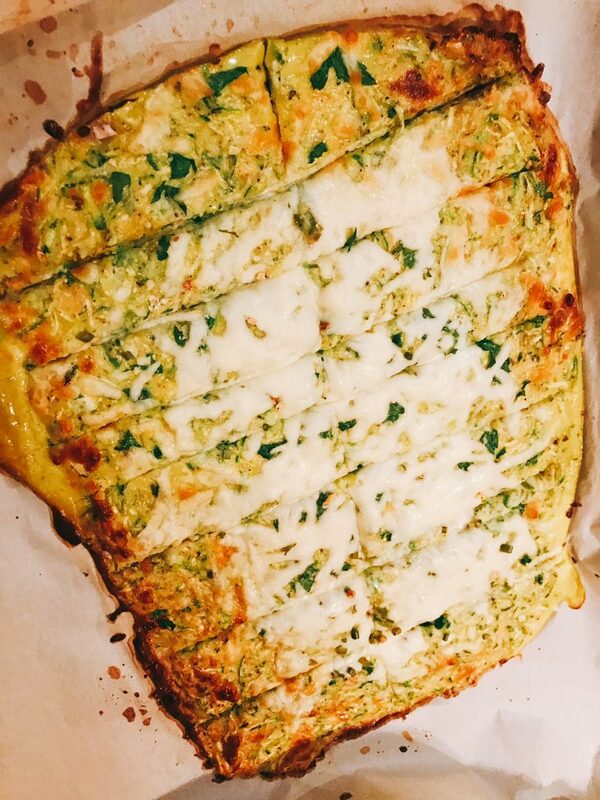 I make zucchini sticks but not as delicious looking as yours. I have to try the mashed cauliflower too. It sure looks like a healthy alternative to mashed potatoes. These are some great ideas. There are some dishes (candied sweet potatoes for one) that my family would never let me leave off the menu but we can certainly balance them out with some great healthier options like these. Happy Thanksgiving to you and yours. Loving all the healthy dishes and many of these we make. We always have a fruit and vegetable platter. Wow, these recipes are indeed so good. Choice of healthy offerings is also nice. I love the designs of the garnishing of some of the output. Happy Thanksgiving! This is a great way to ensure that your Thanksgiving is healthier! I love to eat Thanksgiving foods. You’re right about less being more. Unless you want to be eating leftovers for a month, planning is really key. These look like such great options! It really isn’t that hard to make a holiday healthy while still enjoying all of the yummy foods. Great tips! These all seem really great. I love the idea that you aren’t comprimising flavour, but you are making some healthier adjustments. I love the idea of taking Thanksgiving and making it healthier. I really dislike feeling so weighed down at the end of the night. I have been making a lot of cauliflower recipes lately. That mashed cauliflower sounds like a great side dish. All of these look good. I can’t wait to chow down on some food over Thanksgiving. It’s totally possible to have a low-cal Thanksgiving. By choosing veggie-filled meals and smart sauces, it’s possible to not ruin a diet! Those are some healthy recipes.. It’s healthy and good for all.. Thanksfor sharing this ideas.. The zucchini sticks look and sound amazing! I have got to try that recipe. You are soooo right about having something light and healthy on hand. It just isn’t healthy to overindulge. The older I get, the more I feel lousy after over-stuffing myself. Planning things out is important. I have made that mistake too many times! Always results in garbage results. I think Thanksgiving should be about enjoying wonderful food. It doesnt have to be an indulgence of unhealthy food at all. That Thanksgiving Turkey veggie tray is just too cute! It’s also a great way to trick kids into eating their vegetables! I love your healthy Thanksgiving meal options. Most people consume over 4500 calories on Thanksgiving day which is insane. I don’t cook everything so I don’t get a ton of control over what others bring that day. But I will do my best to control what I choose to eat. Dessert is my biggest weakness. I love those turkey veggie and fruit trays! I have been traveling out of the country for the past six months so my husband and I will be celebrating Thanksgiving on the road this year. It will be simple but wonderful. Agree, we should balance our meal this Thanksgiving. Of course, Turkey dish is a must and that roasted sweet potatoes! Yum! I think that is amazing that you started planning 2 months ago! You go on with your bad self! I’ve never made a Thanksgiving meal before so I don’t know how much work goes into making it. I only bring desserts. Everything sounds wonderful but that mashed cauliflower looks something fantastic! I’ve never tried it! These are great ideas. I tend to not worry about calories during the holidays. They only come around once a year! I prefer to eat healthy foods this Thanksgiving! I’ll have to make a list for Thanksgiving! I start planning my menu ahead of time too. It helps cut back on the stress. Everything looks so good. Roasting vegetables really brings out their flavour. This is awesome! Staying healthy during the holidays is really great! May I come ? I love your veggie side dishes and the zucchini sticks. Your turkey veggie tray is also super cute. I make things like that for Halloween. I’m going to an all vegan thanksgiving this year and am super excited! A veggie try is a must for any party. We usually have ranch out but I love hummus as well. I think hummus would really go over good. I love Thanksgiving and these are great choices to eat more healthy. Thanks for sharing. I love these options! Thank you so much for these tips! Enjoying with healthy foods during holiday must be a challenge for others but it is totally worth it! I looove healthier sides. For some reason, I just feel so sick when there’s too much junk for Thanksgiving dinner. Having some veggies and such makes it a little lighter and not so icky feeling. Your turkey veggie platter is super cute. I think I’m finally set for Thanksgiving! My husband and I are trying to lose weight, so these are great suggestions for us. I dread thinking about all of the calories we might consume over the next few days, but if healthy options are on hand, we are more likely to gravitate towards those items. I have lost ten pounds and I plan on losing five more. therefore I plan to eat healthy for Thanksgiving. I will follow your lead and use vegetables as sides along with Zucchini sticks that delicious looking Herb and Butter Roasted Turkey with White Wine Pan Gravy ( which I have already saved in Pinterest). Thanks for sharing. I’m liking the way you do your brussels sprouts and sweet potatoes. It might be nice to try the cauliflower as a potato replacement too. This year we are enjoying Thanksgiving with just our immediate household family. I want to relax and unwind. We have a lot of side dishes that involve veggies. In fact, most of the family prefers sides with hearty portions of veggies. Seems to sit better in the belly. These are awesome ideas! I absolutely love the idea of the zucchini sticks! Those look so delicious. I will have to make some this year! These are such healthy options! I love that fruit platter! To be honest, Thanksgiving is when my diet is off limits. I look forward to all the fixings!! These are some yummy sides though. I had the most amazing roasted brussel sprouts at an event but can’t seem to make them the same at home, mind always get mushy inside and crispy outside. Great list of recipes. I’m totally up for making Thanksgiving more healthy this year! It all looks good to me. We do the traditional Thanksgiving items but I will say your ideas look like they are a hit. I could go for making the holiday a little more healthy this year. These are great ideas. A healthy Thanksgiving sounds great, and it actually looks like it could be super tasty, too! These are great tips. I love the being able to enjoy a Thanksgiving feast without gaining 10 pounds in a day. This is such a great post! Turkey is already healthy, so all we really have to do is change up our sides. I love this! When you get down to it, the star of the Thanksgiving show is already healthy. All we really need to do to make it more healthy is eat better sides. There are so many yummy and healthy recipes that we can make for Thanksgiving! I think these are awesome and it’s definitely worth being on your table this Thanksgiving! I have been looking for healthier options to make for the Holidays. Your Turkey Veggie Platter is so cute. It is sure to be a big hit. So many delicious dishes! I am certainly good with taking a healthier approach to Thanksgiving, especially if it involves cute veggie trays and brussel sprouts. It really is true – less is more. So many of the foods we eat on Thanksgiving are delicious without any butter, cream or anything else. Your menu sounds delicious! I really love these ideas for a healthy Thanksgiving! I am going to be planning to make some of these quicker options tomorrow. 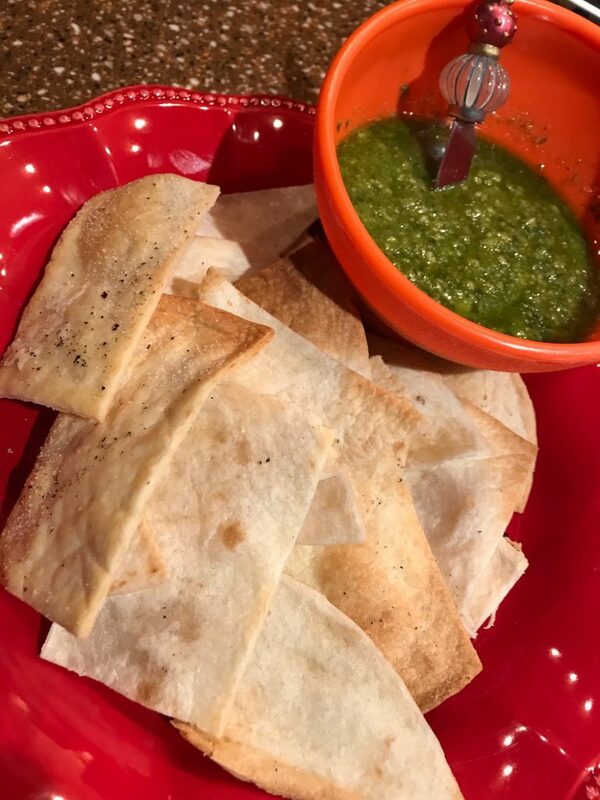 Ouuu… the homemade pita bread is totally my jam! I bet it’s delicious with that pesto dip. We are having roasted Brussel Sprouts and a gluten free pie too! It looks like you will be having a delicious Thanksgiving. I really need to try roasted brussel sprouts I normally just boil them and that’s it – so a new way to cook them is a must! What some great ideas for a meal, it all looks and sounds absolutely delicious – I hope you have a great Thanksgiving. My diet really doesn’t change on Thanksgiving – thanks to food allergies and whatnot, but I definitely LOAD IT UP with all my favorites! 🙂 Gotta love with some sweet potatoes and chestnuts! !